MYLA VILLANUEVA may not have invented the thinnest computer, the smallest smartphone, or a faster way to transmit data over the Internet, but among her peers she is considered every inch tech royalty. Basically these are mobile applications and solutions for clients which include Globe Telecom, GSM Association, Meralco, PLDT, Philippine Savings Bank, RCBC, Smart, Standard Chartered Bank, Sun Cellular, and Norway’s Telenor, to name a few. Among Novare’s partners are IBM, Oracle, Research in Motion, Sybase, Tata Consultancy, etc. She is now setting her sights on expanding Novare’s footprint in Southeast Asia and China. Ever on the forefront of tech breakthroughs, Villanueva has launched what could be described as her best innovation to date. Last January 11, she announced her personal advocacy called “Wireless Wings”, a P111-million angel fund which aims to support deserving information technology ideas from colleges and universities nationwide. Aside from funding ideas, Villanueva says her team will also provide beneficiaries with mentoring sessions from seasoned IT executives, as well as link them up with multinational companies and major players in the IT industry. Villanueva also invites “other companies who have the same advocacy” to contribute to the angel fund to be able to boost the chances of these new techpreneurs in the international market. It’s easy to understand why she has chosen this particular advocacy, having once grappled with the challenges of breaking into new markets dominated by the big boys of technology. 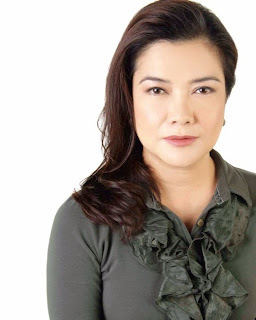 Flushed with idealism and inspired by the tech boom in Silicon Valley where she had studied and was living (and no less inspired by Apple’s Steve Jobs’s success), Villanueva, then just 21, came home to the Philippines in 1988, set up MDI Group Holdings, and introduced the idea of networking computers via Internet protocol. Back then, most government agencies and the top Philippine firms shared and stored data using those clunky mainframe computers. “It is so old tech today, but I cannot understate the challenges that came along, starting a new company to sell this concept, and competing against the IBMs and Digital Equipments of the world, in a male-dominated industry which was then very conservative and comfortable with the status quo,” Villanueva now recalls. But she pressed on, knowing that computer networking would soon be the norm. Her very first deal was with the Social Security System which saw the value in decentralizing its members’ contributions system. This was soon followed by projects with Meralco, ABS-CBN Corp., PLDT and other private firms. More pioneering efforts in the local tech sector followed. With her husband Jun, she introduced consumer electronics equipment, gadgets and design software to a mass market via Microwarehouse (1995); created Wolfpac (2000), a mobile applications and content provider which was subsequently sold to Smart Communications; then set up Meridian Telekoms (2003), the first wireless broadband firm in the country (later sold for $50 million to Smart and now rebranded as SmartBro). All these breakthroughs earned her the first Woman Entrepreneur of the Year Award (2003) under Ernst and Young’s Entrepreneur of the Year program. At the GSM Association, where she is a member of the executive management committee, Villanueva had pushed for the globalization of Mobile Money Transfers. It now benefits millions of migrant workers, especially Filipinos, who easily send money home to their families just using their cell phones. Looking back on her very first networking project, and her subsequent achievements, Villanueva says the key to her success is that she has “never been afraid of hiring people who are much better than me.” Also, she is able to spot the major trends in her field because she has a voracious reading appetite and a constant curiosity about everything around her.